August 13, 2015 — You’re not dreaming, Tenno! 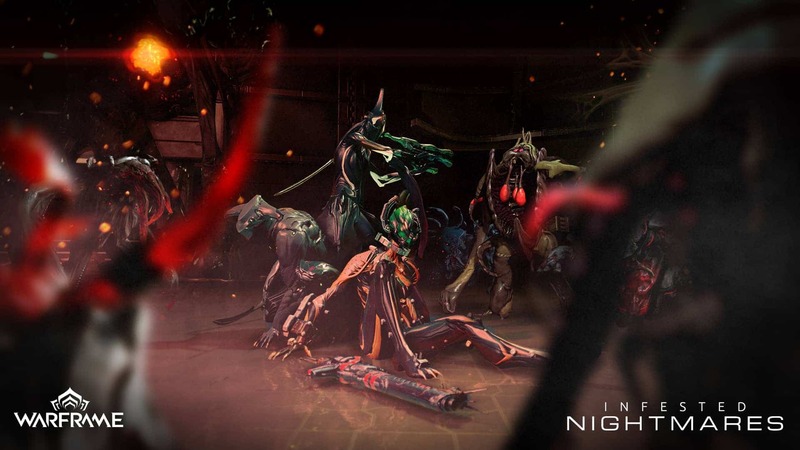 Infested Nightmares Bonus Weekend has begun and brings with it a slew of exciting rewards to the PC, PlayStation 4 and Xbox One versions of Warframe. Infested Nightmares starts today, Thursday, August 13 at 2:00 p.m. EDT and runs through Monday, August 17 at 2:00 p.m. EDT. During the weekend players earn Double Affinity during Missions to rank up their Warframes and weapons. Tenno can also take on High-Reward Alerts and earn valuable items! In addition, Darvo has some dreamy 50% off sales on offer. Get half off select items in the Market. Everything starts at 2:00 p.m. EDT on August 13 and ends at 2:00 p.m. EDT on August 17, so hurry up and login to enjoy.